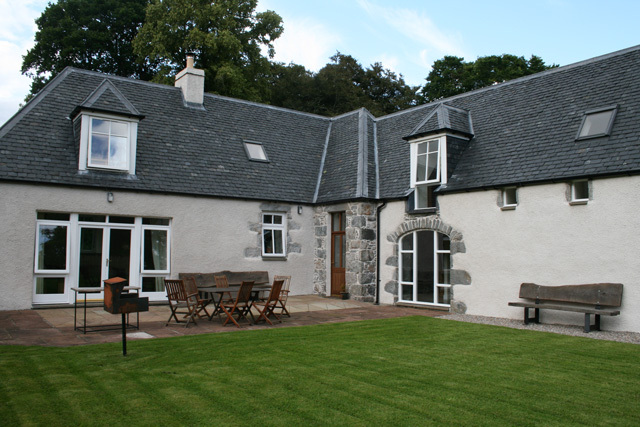 Old Stables is a beautifully restored building in a delightful rural setting beside a working farm and set within the RSPB reserve of Corrimony. 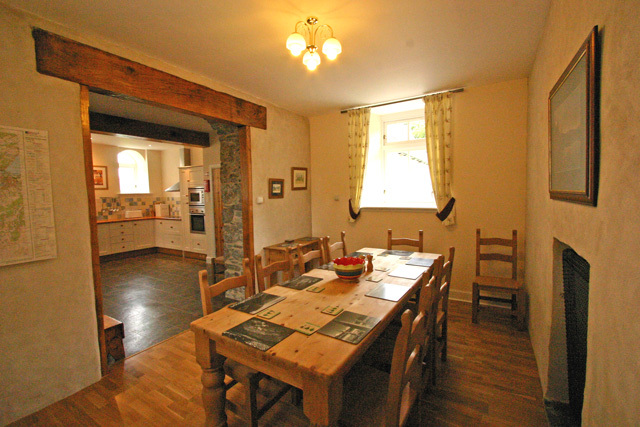 Now this superb old building provides high quality self catering accommodation for up to 10 people. 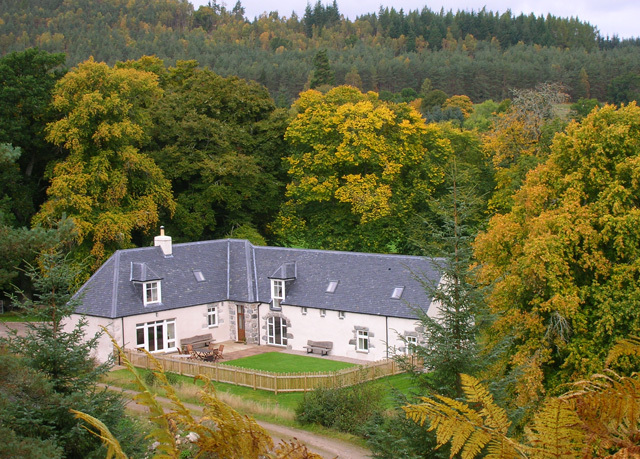 It is large and is an ideal venue for self catering groups and large families who want to visit the reserve for bird watching, or for groups of fishermen intending to fish the nearby rivers and hill lochs. 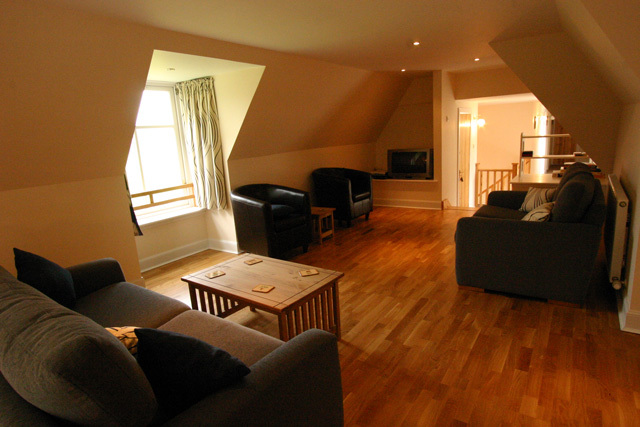 It is also very close to Loch Ness and geographically ideal for touring the Highlands and west coast. Pets are welcome but must be supervised at all times as sheep occupy the surrounding fields. Old Stable was once the stables for the horses and carriages, with living space above, for the grooms, of Corrimony House, a Victorian mansion with its own Ice House, the remains of which may still be seen. Many walks radiate from the property to interesting local archaeological sites, including Corrimony Cairn, lochs, a waterfall and, of course, the birdlife that abounds here on the reserve. It is also an ideal place to venture to Glen Affric, one of the most beautiful glens in the whole of Scotland. Within the glen lies part of the ancient Caledonian pine forest. Walking around the loch is a day’s hike and a highlight of any holiday. Cannich, the local village, is just 4 miles distant, for a post office and groceries. 9 miles from the loch Ness village of Drumnadrochit, where there is a good choice of things to do, places to visit and restaurants and pubs. Inverness and Beauly are both 25 miles from the accommodation. The Old Stable is within a days travel to Skye, Fort William, Caithness and the Castle of Mey, the late Queen Mother's favourite retreat, now open to the public. Two well behaved pets are welcome but with livestock so close to all the garden boundaries, they should be kept on a lead outside the grounds. 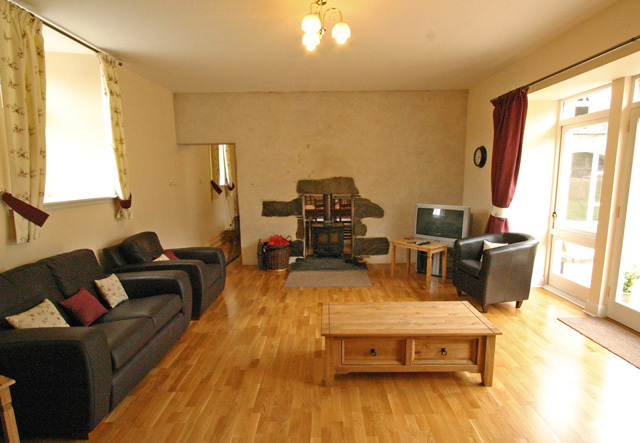 Spacious lounge with wood burning stove, satellite TV, DVD and access to the garden. 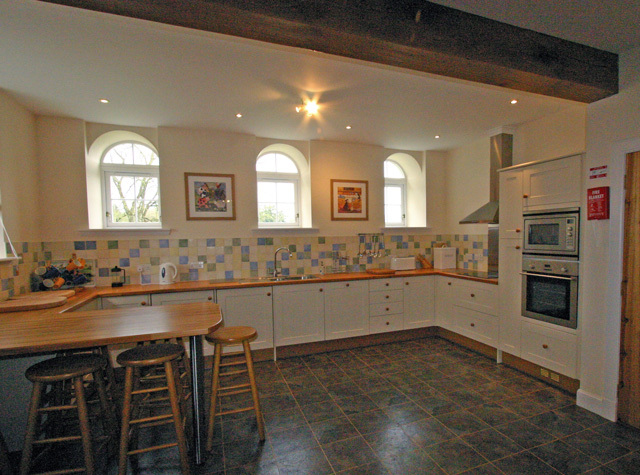 Very large kitchen with breakfast bar, electric oven and hob, microwave and grill, larder fridge and freezer, dishwasher, washing machine, tumble dryer and ironing. 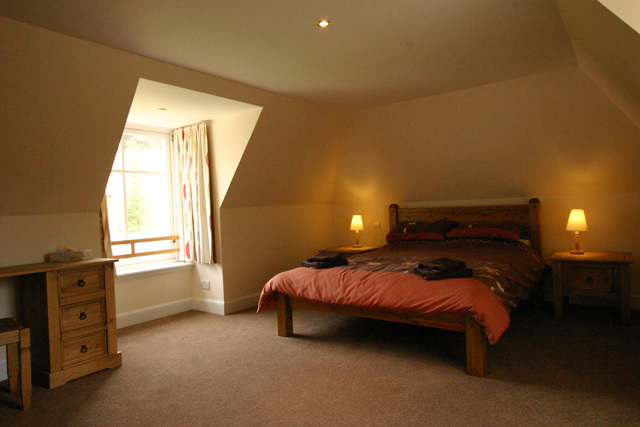 King bedroom and twin bedroom with zip & link beds downstairs. Shower room and separate toilet downstairs. Ground floor suitable for wheelchairs. Sitting room with satellite TV, DVD and CD/Radio. 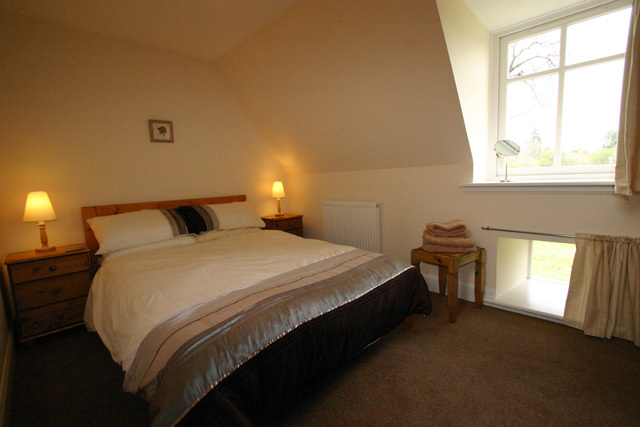 King bedroom with en suite bath & separate shower. Double bedroom. Twin bedroom with zip & link beds. Bathroom with bath and separate shower. Cot and highchair. Geothermal heating with under floor heating in all downstairs rooms. Radiators upstairs. Electricity, logs, bed linen and towels. Garden furniture and barbecue in a lawned and fenced courtyard. Outdoor washing line. Midge machine.